We social network users feel a special kind of connection to people we follow and this is particularly true when the followership is mutual. 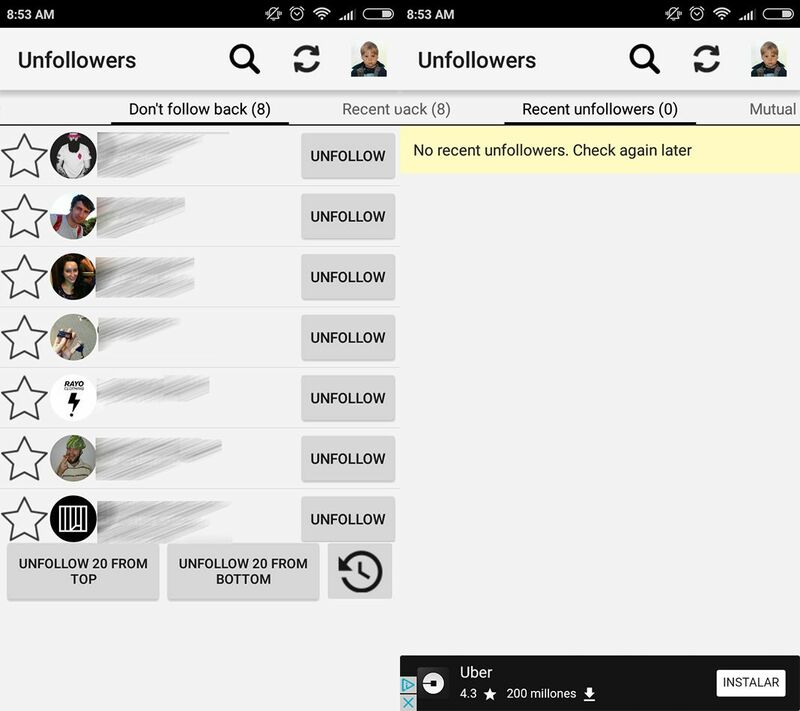 Logical, then, to worry about people unfollowing you – and now it’s easy to find out when that’s happening with a new app: Unfollowers for Instagram is a free Android app to check who’s recently stopped following you on Instagram or who never followed you at all. Let’s face it, knowing who follows or unfollows you on social networks has always interested basically all of us. Several sites provide this info for various social networks, but Unfollowers for Instagram comes out near the top in terms of providing this information that you’d normally have to manually check by going into the individual profiles of people you follow. The thing is that this can become a headache for people obsessed with knowing every last detail of this info. Hence this app is essential if you want to get this info in a fast and simple way. The way Unfollowers for Instagram works couldn’t be simpler: after adding your Instagram username, six columns should appear with all the info about your account status. Those six sections include: people who don’t follow you, people who’ve recently stopped following you, mutual followers, people who do follow you but you don’t follow back, ghost followers (people who haven’t left a comment or liked your last 10 posts), and people you follow. 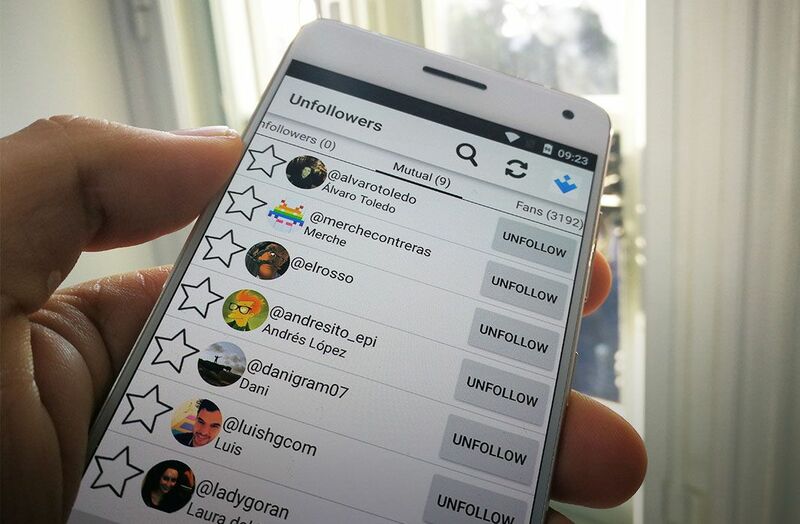 The navigation is quite functional as you get around by swiping sideways and tap to follow or unfollow anybody. That said, you need to have the Instagram app installed for that feature to work properly. 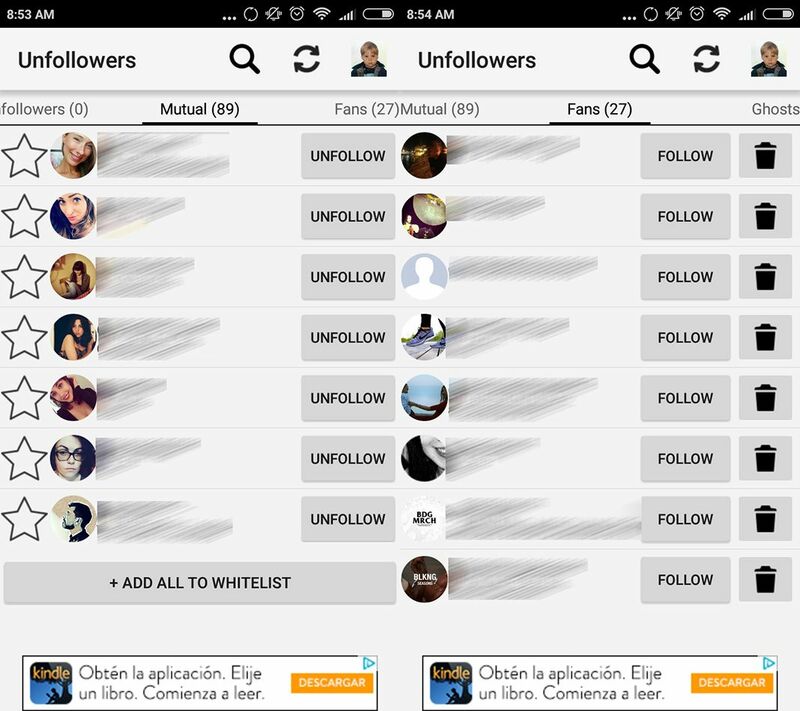 Unfollowers for Instagram does what it promises in the smoothest possible way. If you want to find out all the details about your followers (and non-followers) over Instagram, this is the best possible option. But do accept a small piece of advice: best not to get too obsessed with this info, as it’s not the healthiest thing in the world. instagram is very popular on social media, i like it very much and fond of instagram. A very great app in social platform.